While a coffee shop can be interpreted as a first date location, it’s also a great place for talking and getting to know each other better. If you had your first date at a coffee shop why not go back, there? The location will not only serve as a reminder, but it could bring up a few topics from that night. The ideas you both discussed on your first date now get a chance to bloom as you expand them and dive deeper into the argument. However, if you didn’t go to a coffee shop on your first date, a coffee shop is a great place to try something new without going too far out of your comfort zone. Instead of ordering your usual coffee you both could get items that sound funny, odd, or new age and test them. Describe the taste to one another, and you might find one that’s a keeper. While some parks offer a movie night, others don’t. It’s best to check with your local park before asking your partner if they would like to go. However, watching a movie in a park is one of the best alternatives to watching a movie at home or in the theaters. Unlike theaters, parks don’t have high prices to see a movie. In fact, depending on the park the showing might be completely free. Also, at a park, there’s more space to move around, so there’s no need to feel confined to one small area. 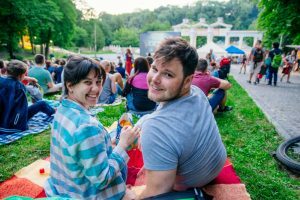 Movie nights will also allow you and your significant other time to talk, a place to connect, and somewhere to eat. Might as well bring a picnic basket and fill it with delicious foods after all you wouldn’t want to leave a park without having a picnic. Depending on where you live the beach might not be easily accessible. However, if the beach isn’t too far away why not take a trip to see the ocean waters? While you might think a trip to the beach lacks imagination it creates fun-filled memories. At the beach, you and your partner can swim in the ocean, make sandcastles, find beautiful shells, and watch the sun go down. A trip to the beach allows you and your partner to be silly, creative, and most importantly your best selves. If tensions are high, then a trip to the beach is needed. The beach is naturally a tranquil destination not only because of the calming shores but also the warm sand. In fact, you’ll find that you can think more openly at the beach because of its relaxed nature. If you’re bored with your regular date routine, why not try a trip to the beach to spice things up? Some people love to learn about history while others like to learn about art. History and art have become the two most significant categories for museums and galleries alike. Of course, within art’s spectrum measures a lengthy list of subcategories. These subcategories feature art periods, artists, and even analysis and interpretations of art. If you’re the type of person that loves history or art, you might want to consider a museum or an art gallery as the background for your next date. With your interest in the content that these galleries and museums provide it will allow you and your date to discuss topics of significance. For example, you can analyze and interpret the meaning of a beautiful painting or debate how the alphabet came about. hockey on your TV, it’s not always the most exciting experience in the world. Why not try to buy some tickets and root for your team in person? Cheering on your team at the stadium can be electrifying. 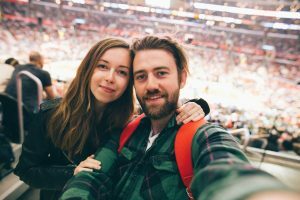 In fact, couples who have gone to a sports game together actually talk more about the game than they do if they were watching it from home. Therefore, communication is increased when couples share an experience together like watching a sports game, concert, or even a play. These activities give you and your significant other topics to talk about and memories to enjoy. 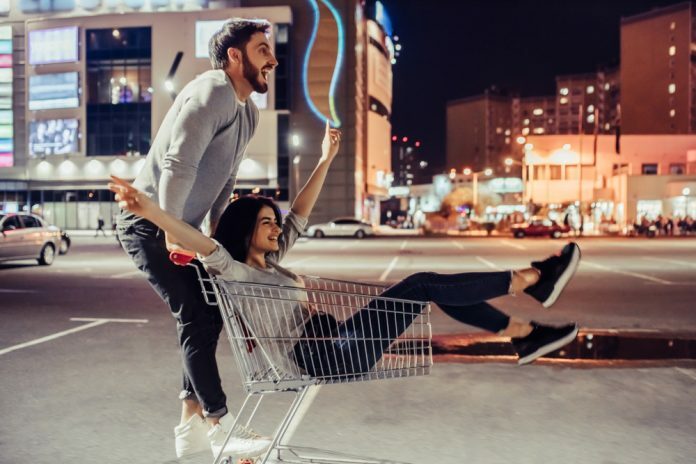 While eating from food trucks might sound like the cheap way to go about dating; however, it might not be as cheap as you think. Food trucks can be quite pricey depending on the food truck and what they serve. However, treating your date to the meals off food trucks can be fun. Food trucks can specialize from Italian to Mexican food and have anything from entrees to desserts. In fact, food trucks are known for their unique pairings and fun looking food. If you want to have a stroll and talk about your day, why not enjoy the taste of food truck food too? Now you that your mind is filled with inspiration go and make your partner feel like the most special person in the world!